Module Virtual POS Redsys is a virtual POS terminal that fully guarantees the integration of bank card payments into your store. Make your transactions safer and start selling more! 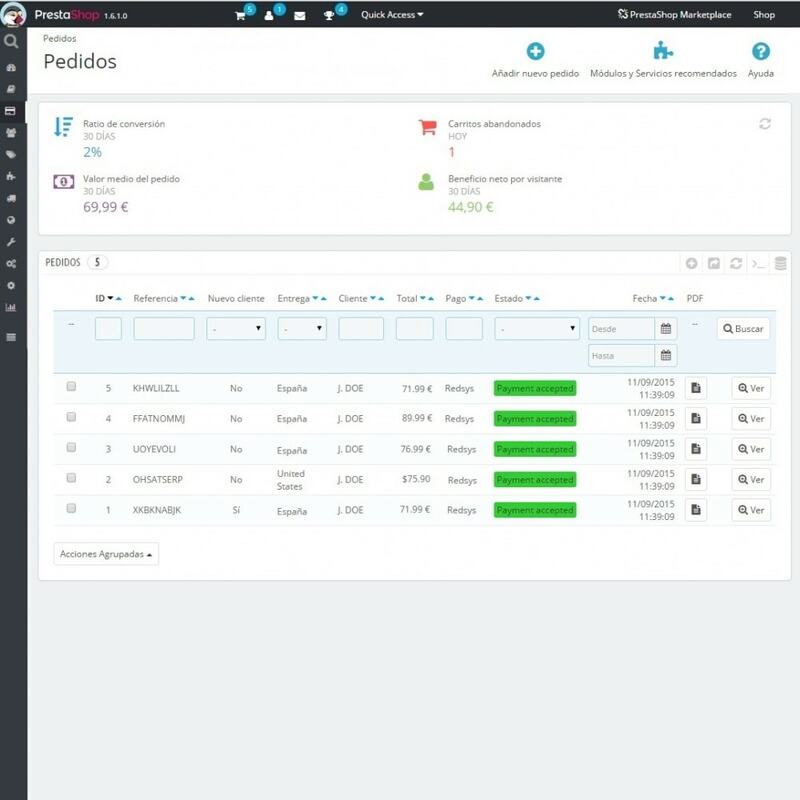 Based on the new Redsys system, it delivers the best and simplest user experience. The POS terminal module is easy to use. 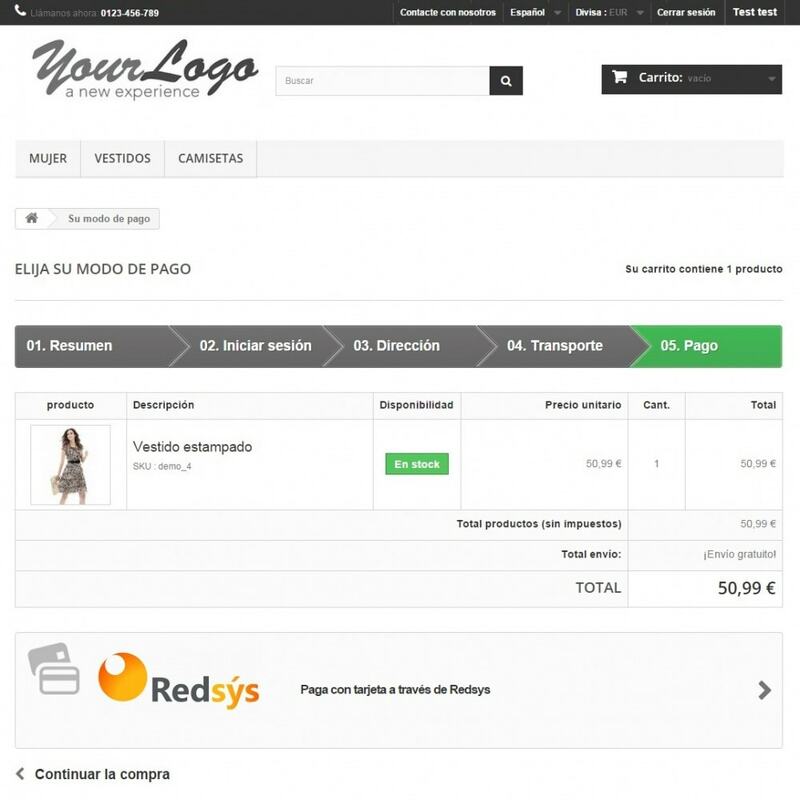 In just a few minutes you will have payment via Redsys integrated into your store. The solution for instantaneously authenticating the card and its holder meets the highest security standards and secures transactions both for you and your customers. Developed by the PrestaShop team of programmers, you'll be sure of always being compatible with all PrestaShop versions and updates. Comprehensive information on the transaction in the order sheet. 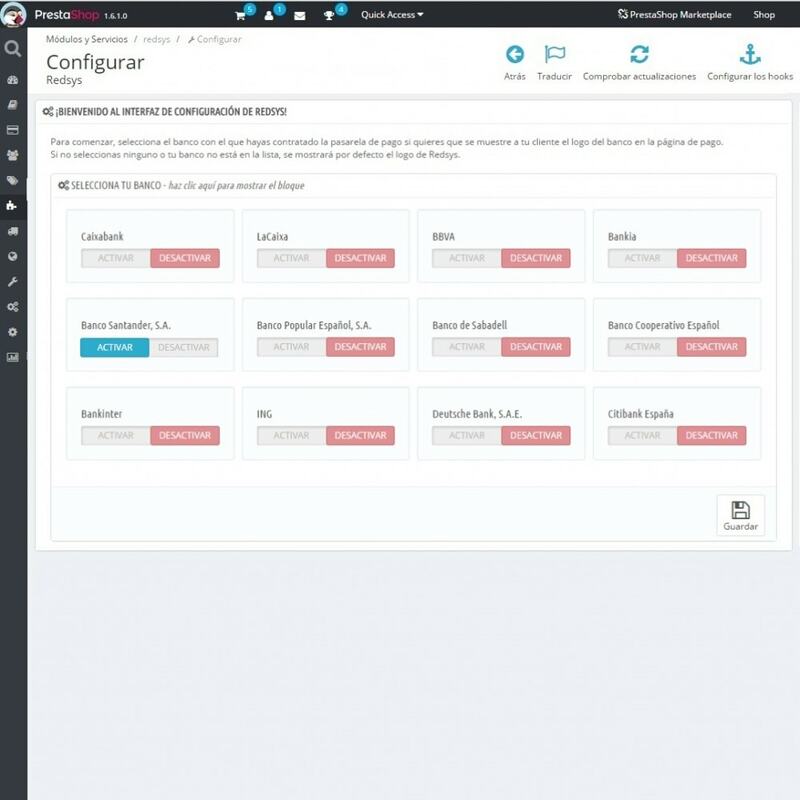 Ability to select the Test or Real environment. Compatible with multi-language, multi-currency and multi-store mode. Create invoices linked to payments with sequential invoice numbers. Compatible with one-page payment (one-page checkout – a PrestaShop native module). Responsive module. Your customers will be able to make payments at your store on smartphones and tablets. 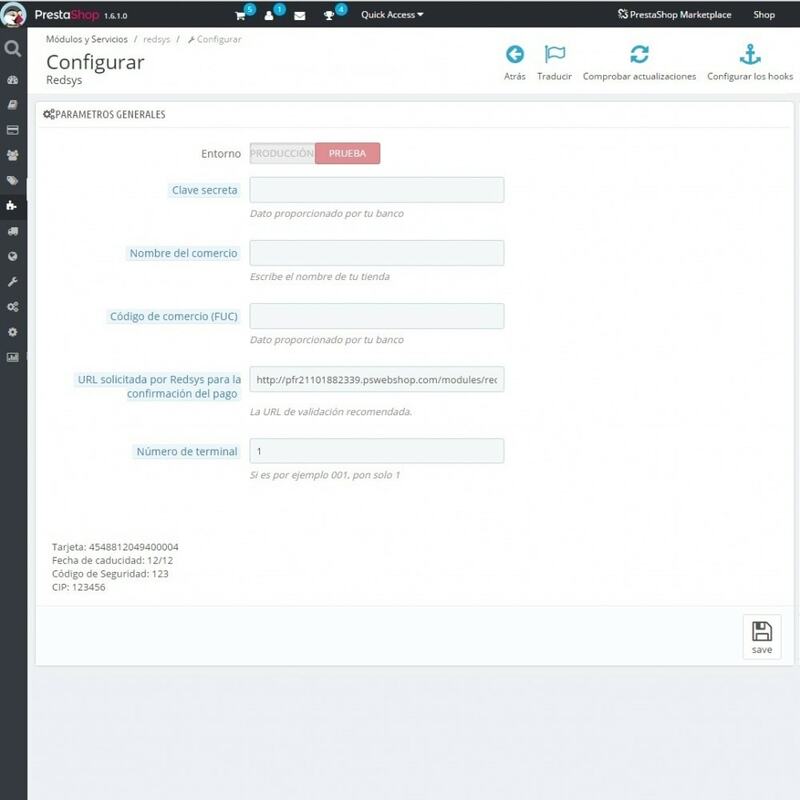 Contains complete user documentation in Spanish. N.B. : To make full use of module Redsys, you must first take out the virtual POS terminal service with your bank or savings bank. Provides comprehensive payment guarantees and the highest security thanks to the Redsys security and privacy certificate. Compatible with any language and currency. 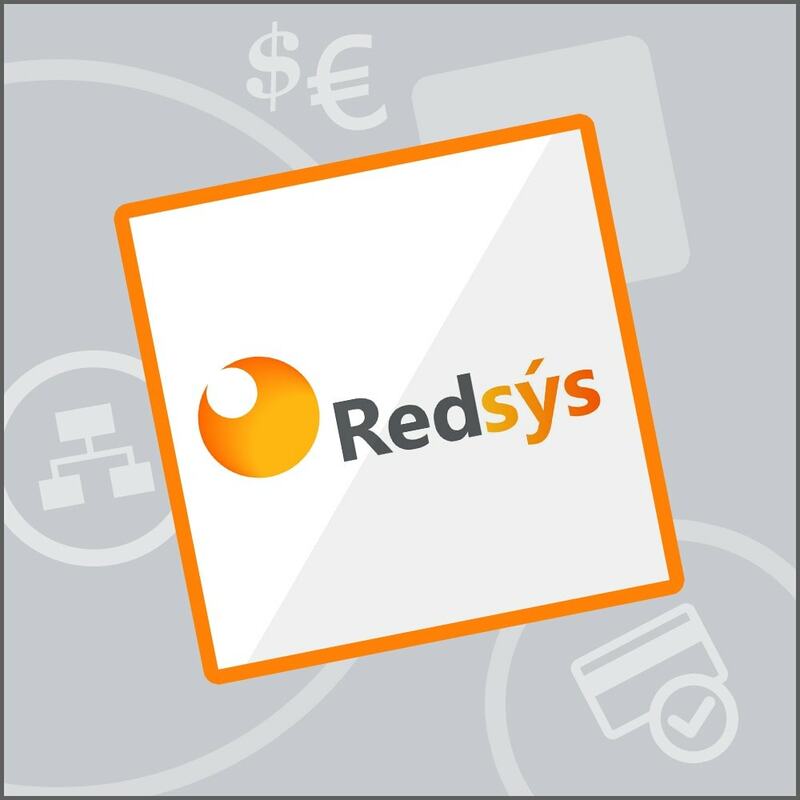 The Redsys payment form is available in the following languages: Spanish, Catalan, Basque, Valencian, Galician, English, French, Portuguese, German, Italian, Dutch, Swedish and Polish.